Not only do bulimics get the dopamine high, they also avoid the inevitable weight gain their high calorie binges would produce if they didn't purge. Maybe W.C. knew it long ago, that alcohol and sugar activate the same reward pathways in the brain. If you have ever known an alcoholic who stopped drinking, they often turn to sugar instead. The question is, "Is sugar addictive?" In this multi-part series on why Americans are so fat, we are now moving into the idea that there is such a thing as a food addiction. In this blog I am going to be talking about the work of Dr. Bart Hoebel who is a researcher and professor at Princeton University. Dr. Hoebel has discovered some fascinating things by studying rats. What he did was see if he could get rats addicted to sugar. He took rats and got them pretty hungry. These rats were hungry to the equivalent of having fasted all night and then skipped breakfast. He then gave them a sugar water solution to drink and regular rat chow to eat. He measured how much they consumed. The first day the rats consumed a fair amount of sugar water and some chow. The next day, more sugar water and less chow. The following day even more sugar water and less chow. This went on until the rats were essentially binging on sugar, and this binging behavior got worse as they went on. When looking at their brains on sugar, the reward pathways were stimulated just as they would be with drugs of abuse, only less so. 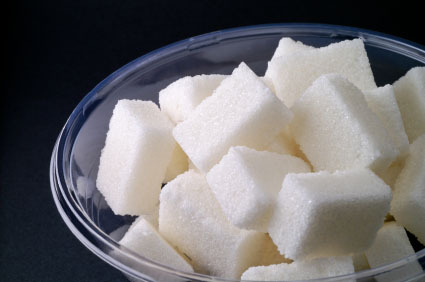 Sugar affected the brain just as cocaine, heroin, meth, pot and/or alcohol would. When the rats had had enough, their brains released acetylcholine, which isn't that pleasant, and caused them to stop eating. 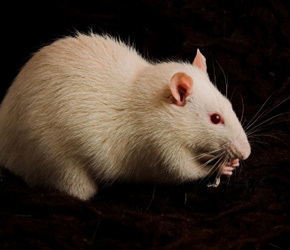 By using a chemical to block the reward pathway, these rats experienced withdrawal. Teeth chattering, anxiety, etc. They were showing the classic signs of addiction in that they were craving the sugar, they required more to get the desired feeling (tolerance) and they experienced withdrawal when deprived of the substance. Dr. Hoebel then put the rats back on regular rat chow, didn't give them the sugar and didn't allow them to become hungry for 21 days. The experiment was then repeated by getting them hungry and giving them the sugar water. The sugar binge, after a 21 day abstinence, was as bad as the worst binge they had had previously. These rats had effectively learned to binge on sugar. I asked Dr. Hoebel if they had tried to wait longer than 21 days to see if these rats would eventually normalize. He said it was a good question but no they hadn't because rats don't live that long and you would end up with some very old rats. In an additional experiment, Dr. Hoebel was able to do the same thing with the rats while also inducing a purging state. He did this by inserting a tube to purge the rat after he binged on sugar. He then was able to look at the brain and could see that the reward pathways in the brain were stimulated. When the rats didn't purge, the acetylcholine was released that would essentially bring them down and they would stop eating. In the purging rats, there was only the high, or dopamine, and no acetylcholine. As a psychotherapist, working with bulimics, this has helped tremendously in understanding why binging and purging is so addictive. Bulimics get all of the high with none of the down. Very seductive indeed. Not only do bulimics get the dopamine high, they also avoid the inevitable weight gain their high calorie binges would produce if they didn't purge. More on the addictive properties of food and what we can do about it coming up. Stay tuned. For more information about Dr. Hoebel's work, please visit http://weblamp.princeton.edu/~psych/psychology/research/hoebel/index.php. If you'd like to participate in the research for Irene's new book about the process of weight loss, please visit http://www.eatingdisordertherapist.com/ and take the survey.